The inside edge of the seal is pressed into the channel and held at this angle. We then used this plastic tool (this one was used to burnish adhesives, but a similar device can be made out of paint stirrers) to press the outer edge into the channel. Note: we later discovered that we had installed the seals backwards, new pics will be posted with the correct orientation. This the correct orientation of the seal. It looked a little funny to us at first, but now we see how it would work better. The International Auto quarter panel installed, it looks awesome with the correct vinyl pattern and seams. We installed a door seal over the weekend. This one seal took well over two hours as it’s quite tricky to get pushed into position. 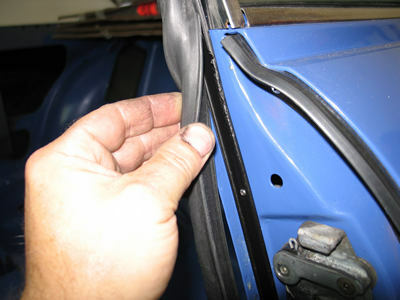 The door seals are inserted in a series of steel channels that are screwed to the car with small screws. This is a common source of rust. We treated and painted the channels and then secured them using stainless screws instead of mild steel pieces (which would rust again). The seals were purchased from International Auto Parts and in a few minutes time we figured out a pretty easy way to install them. We held the inner lip in the channel and then pressed the outer lip into the channel with a plastic burnishing tool that we had in our tool box. We’ve heard of people using disposeable plastic knives and paint stirrers to do the same thing. Now, the problem is that our door doesn’t close all the way. This is a common problem with new seals as they take some time to compress so that the door can close. Since our car isn’t going very far anytime soon, this isn’t really a problem. 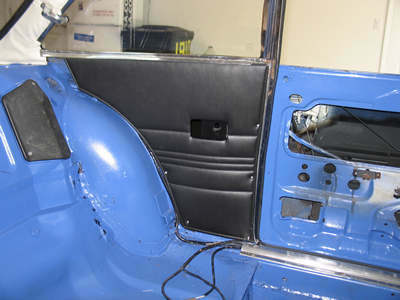 Next up, we’ll tackle the other side and start assembling the interior with new door panels. Later we figured out we had installed them wrong, so we reinstalled the door seals, getting them positioned correctly. The door takes quite a slam to close, but this is very typical of new seals on a GTV. Also, we started working on the interior panels of our GTV. 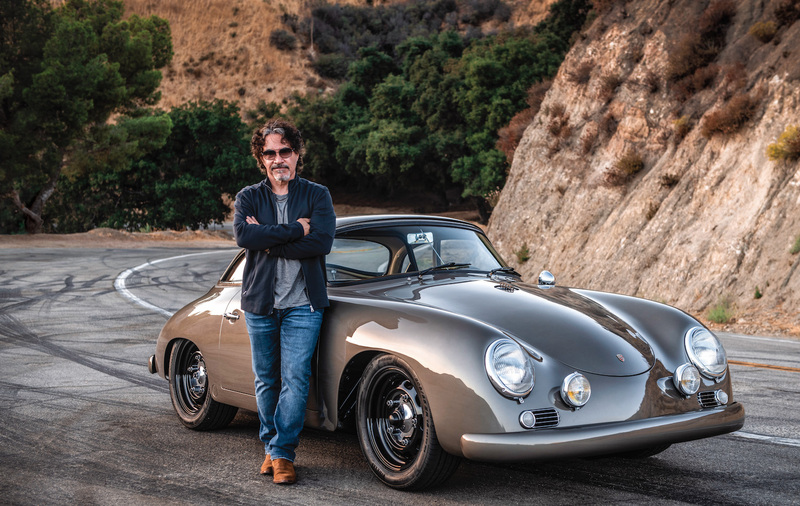 Even though we are going to be installing a roll cage, we still wanted to use the correct quarter panels and door panels for a nice, classic and finished appearance. We’re using some new panels from International Auto Parts that are slightly less expensive than their normal panel and they’re only available in black. They look good to us!